LONDON, Nov 5 – The cost of building a copper or gold mine is likely to be cheaper than buying an existing one, dampening the prospect of big merger activity in the mining sector, S&P Global Market Intelligence said, citing in-house research. Data shared with Reuters support comments from major miners, including BHP and Rio Tinto , which say their strategy is to build or to "smart buy", if they can possibly find a suitable mine for sale at the right price or acquire part of a promising prospect. Keval Dhokia, copper analyst at S&P Global Market Intelligence, said the research provider had analysed the expense of building new mines based on reserves found through exploration. S&P Global Market Intelligence compared the decade 2007-2016 with 1997-2006 for copper and found the cost of acquired reserves increased by $742.15 per metric tonne, while the average unit cost of exploration-derived reserves rose $54.93 per tonne. For gold, comparing the periods 2008-2017 and 1999-2008, the average unit cost in acquired reserves rose by $121.93 per troy ounce, much more than the $41.74 per troy ounce increase in the average unit cost of gold in reserves derived from exploration. At the same time, the share of gold reserves growth attributable to acquisitions dropped to 30.4 percent in the decade ending 2017 from 51.3 percent in the previous decade. Growth in copper reserves from big buys fell to 33.8 percent between 2007-2016 from 43.8 percent between 1997-2006. Copper, one of the most effective electrical conductors, is in focus as miners see good demand prospects from both traditional consumers and from increased use in electric vehicles and global improvements in grid infrastructure. Although on paper building projects is the better option and for majors offers the chance of tailoring them to maximise returns, finding reserves is harder as the more obvious ore bodies in politically stable countries have been depleted. The declines in copper prices and exploration budgets that marked 2013 to 2016 had little impact on copper discoveries, which had already sunk to record low levels, S&P Global Market Intelligence said. 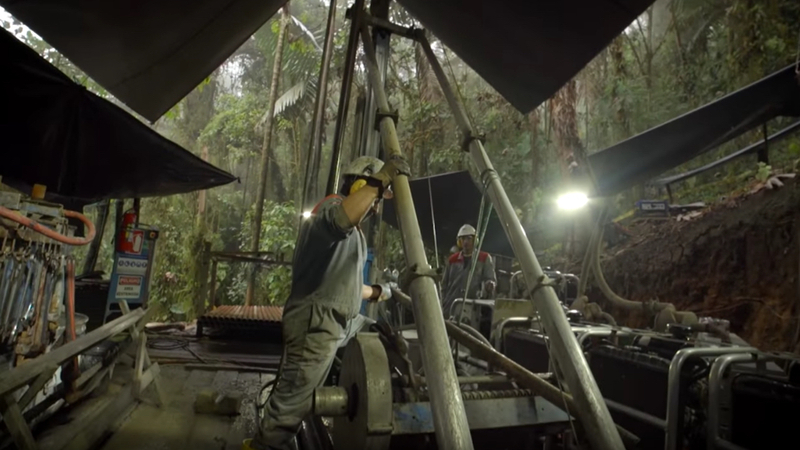 One of the few stand-out development projects is SolGold's copper-gold project in Ecuador. Major BHP in September and October bought shares in SolGold, amounting to an 11.2 percent stake in two stages. It paid a 32 percent premium to the 20-day volume-weighted average London Stock Exchange price for the second stake and 20 percent for the first in a total spend of around $95 million. That compared with a previous offer SolGold rejected of $30 million for a 10 percent stake in the company in October 2016. Dhokia, like other analysts, expects a copper shortfall to deepen over time and boost prices. This year the copper market has fallen nearly 15 percent as trade tensions between the U.S. and China have raised the prospect of reduced Chinese demand.